Link Roundup: Thanksgiving Crafts, Dream Dollhouses and 2 Chances to Win! Made by Joel shows off his beyond cool cardboard Velcro dolls that were featured in Harper’s Bazaar. If you have two artists to keep busy, set them up at this genius drawing table built for two, discovered by Babble. Looking for a fab first dollhouse? See Small for Big‘s four favorite dollhouses. Alpha Mom found some intriguing web entertainment. Request an object to be built using Tegu magnetic wooden blocks via Twitter, Facebook, or Livestream and then see it happen! It’s time to get going on those Thanksgiving crafts and Amy Atlas found a table full of awesome projects the whole family can make. Want to WIN something cool? We’re hosting two contests you must enter now! Win a brand new Windows 7 phone worth $500! Win a gDiapers starter kit with $100! Thanks for the link feature! I also love that long-winded craft list from Amy Atlas, so many great ideas. 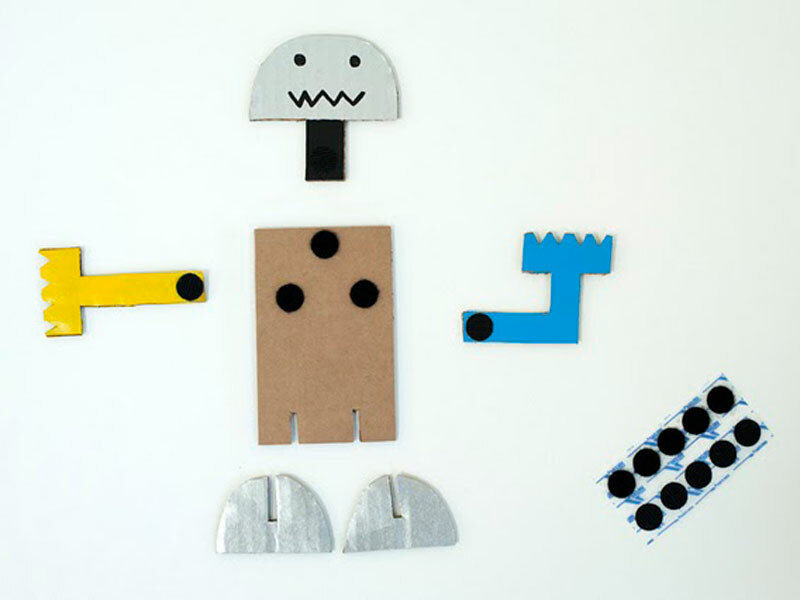 Made by Joel shows off his beyond cool cardboard Velcro dolls that were featured in Harper's Bazaar.